Try something. It doesn’t work right away. Change something else. That didn’t work either. Change back to the way things were. Ask around. Become filled with doubt. Question the whole thing. Think about giving up. Give up and go back to an agency job. Even for those who won’t get stuck enough to return to a job they hate, they still operate in a way that makes absolutely no sense. Let me explain. Your business, and namely your marketing, is just 1 elaborate experiment. And let’s recall from our college days what a good experiment entails: a variable that you manipulate (the independent variable), and a variable that you measure (the dependent variable). Any good scientist knows that if you want to claim causation, that you need to isolate only 1 variable at a time. Otherwise, how will you ever know that your manipulation caused the outcome? So, therapists in private practice start new experiments everyday, but without the foresight to understand what they’re doing, why they’re doing it, or how to measure it. They adjust 2, 3, 4, or more variables at a time and as a result, get further inundated with chaotic data that becomes untenable and impossible to confidently interpret. So they just keep changing things. 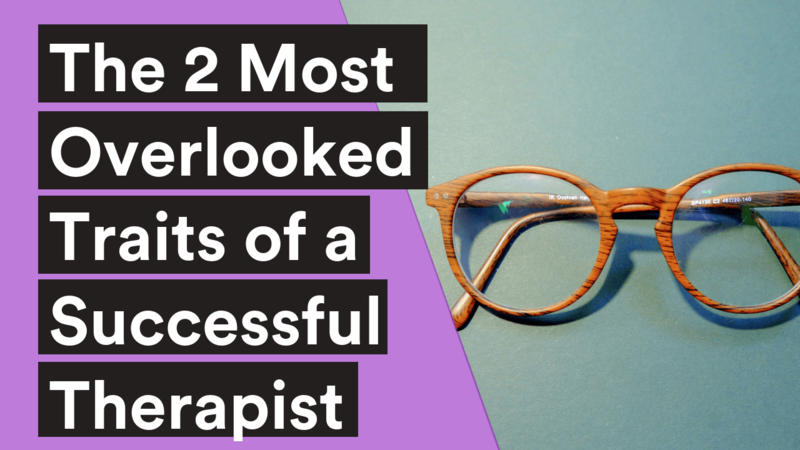 So, what are the 2 most overlooked traits of a successful therapist, then? Persistence means sticking with your experiment long enough to draw a conclusion rooted in statistical significance. 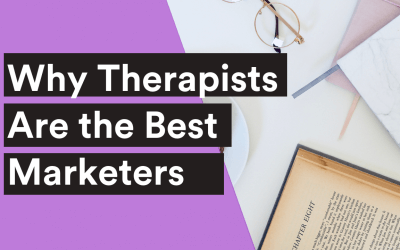 For example, a therapist starts with the hypothesis: I haven’t gotten any new clients from my blue website this week, so maybe I should make it red. So they make it red, and wait a week, and no one calls. So they make it green, and no one calls. And on an on, tinkering with things until the point of exhaustion and forfeit. You see, persistence isn’t about being persistent about everything. It’s about being persistent about the right thing—and just 1 thing at a time. It’s about making small adjustments, studying closely what happens next without being too attached to the outcome, and then making more small adjustments based on what the numbers have told you. It’s not about what you think works, it’s about what actually works—it’s about what the market tells you about your hypothesis. When you understand this, you can approach situations in your business not only with persistence, but persistence paired with curiosity. 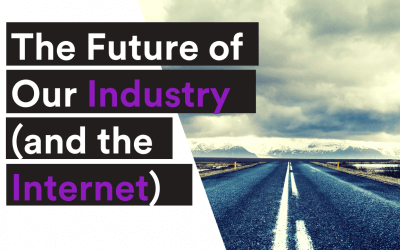 Curiosity means that you enter into new areas of your business with a true open mind, wondering what might happen next but without attachment to any certain outcome. When you do this, the feedback that you get from the market is clear and trustworthy. 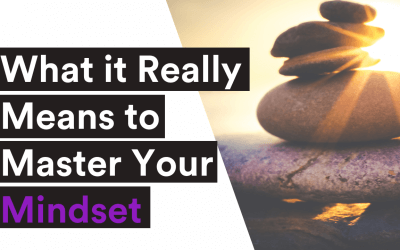 You eliminate the likelihood of your emotions leading your adjustments and decisions about what you do next in your business. I have been a business owner since 2013, and I am just now learning these lessons. The way I used to operate in business (and in life, as they tend to be one in the same) was completely non-empirical. I would try something once, it wouldn’t work, so I’d try something totally different. I could never find true causation in my business, therefore I never really knew what was working, and what was just happening by chance. I also fell into the all-too-common trap of leading with my emotions. If one person told me that my fee was too high, I became defensive, reactive, and annoyed. I assumed they were right, and therefore that I should change it. Another personal example: a few months ago I created a vlog for the first time—and video diary of sorts, of a day in my life. This included, mostly, the mundane—me brushing my teeth, getting ready for work, making my coffee, walking to the office, walking back to the office, driving to the gym, and so on. Naturally, a part of me wondered if the haters were right—maybe no one wanted to see this after all. But then why were other people reaching out to me asking for more? And why had a few hundred people watched the entire video the day it was released? The number of views on YouTube alone was enough to answer the question in my mind of “do people want to see this?” Well, some people don’t, but clearly a greater majority of people do, and therefore I should do it again. Like many therapists, I lean toward having “people pleasing” tendencies, so naturally I am always going to want to make everyone happy and never piss anyone off. The reality is, 99 people can love what I do and 1 person can hate it, and I will be tempted to focus on that 1 person to no end. Can you relate? So, what decisions do you have on your plate right now, and what are your current hypotheses? How can you learn to embody persistence and curiosity in your business, and to approach everything as an interesting experiment? If I can help you build a better business, book a free strategy session today. VIDEO|Who I am, and How I Got Here.